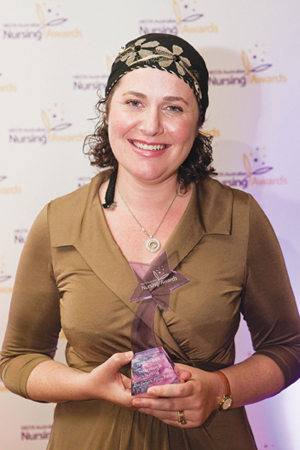 Amanda Klahr, (pictured) a clinical nurse consultant, spoke to the forum about her award-winning Geriatric Flying Squad.The Flying Squad is a geriatric assessment and management service that Amanda developed and manages, and which won a HESTA Australian Nursing Award for innovation in nursing. Amanda says another key benefit of the service is the reduction in presentations of older people to emergency departments. If a patient needs hospital care, the Flying Squad organises direct admission into War Memorial Hospital or one of two other major local hospitals. ‘No two patients follow the same pathway of care. Our criteria are very flexible, which means we are very broad in what we see and can treat.